Talking About Her Fans Being Her "Bosses"
Last edited by carebearcarrie; 03-10-2012 at 11:47 PM. well this is an epic thread! "Carrie being tackled during Grand Ole Opry softball game"
^ oh my god! Me neither! This is one epic list! So is this thread up because you want to share these?? Confused. 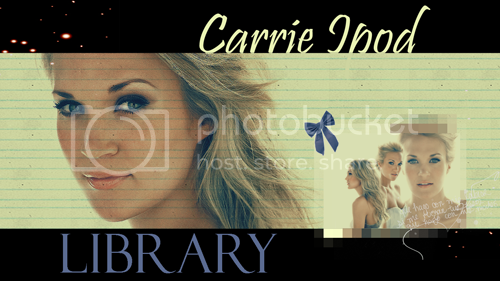 if anyone has any Carrie related video requests for ipod format. request it here. Well that's super sweet of you, thank you! . I'm just curious, would you be willing to convert any of these files to MP3? I don't watch a lot of videos on my Ipod, but I would love to have the audio. ^ sure of course! i would request the audios in my other request thread, though. Can you do the How Great Thou Art performance with her and Vince Gill? Thanks! Oh my gosh, thank you!!! Could you do the Mama's Song video too? There are a bunch of great new videos of Carrie on the GAC artist page. She is wearing shorts and promoting Blown Away. Can you add these here so we can download? I can't figure out how to download from their site. The first video is called "Switching Things Up"